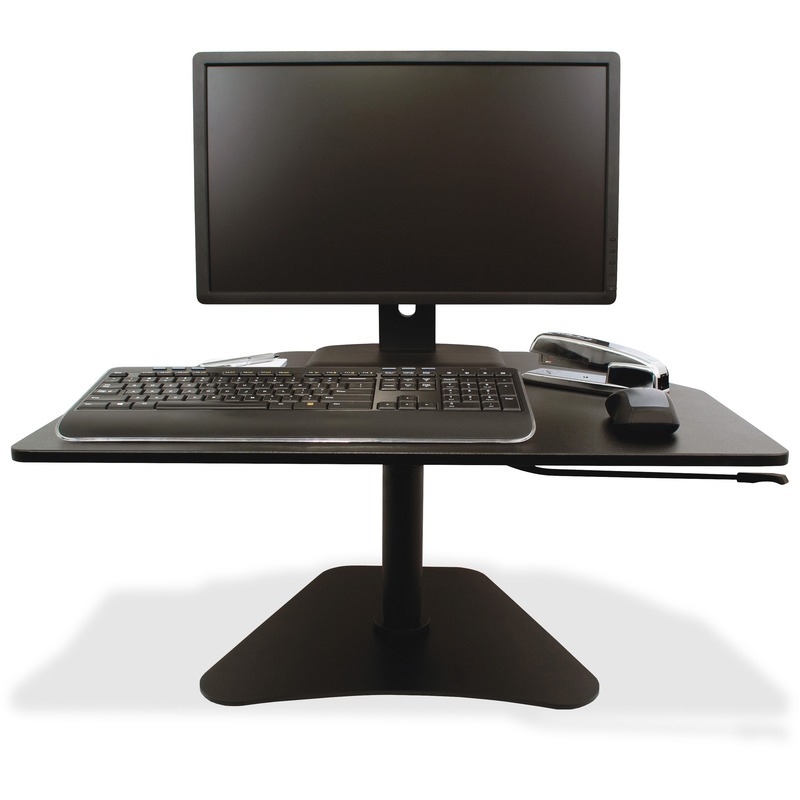 To solve the workplace problem of too much sitting, the High Rise Adjustable Stand-Up Desk Converter transforms any sit-down desk into a stand-up desk. Design reduces or eliminates the pain you experience from being hunched over your desks and the negative long-term effects of sitting for long hours. The 28" wide x 23" deep surface is raised 12" to 16-3/4" for ergonomic placement of laptop computer, keyboard, mouse, monitor or papers. Worksurface rotates to promote more movement, but can be locked with included clamp if not preferred. Gas strut design allows easy, custom-height adjustment with the push of a lever. Sleek wood construction and a durable laminate coating provide years of use with a modern style. The rear portion of the desk is tapered to fit corner cubicles and notched to help manage cables. Heavy steel base prevents tipping. 306 points will be rewarded to you when you buy this item.